Draw the shape of the graph. 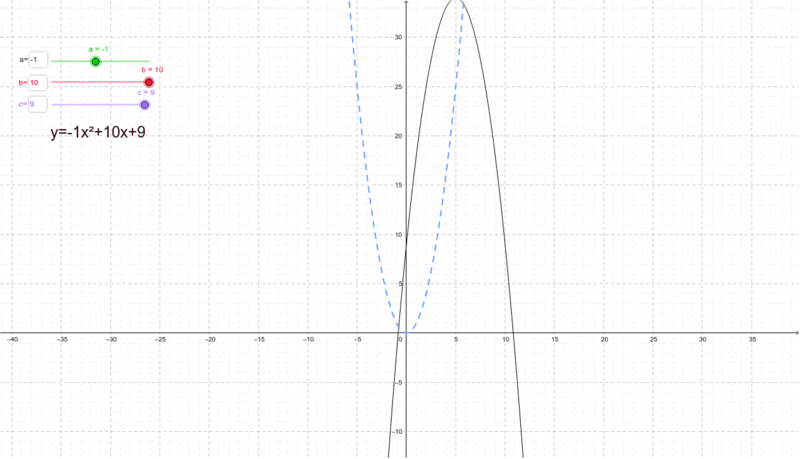 Analyze how the graph changes as you move the sliders. 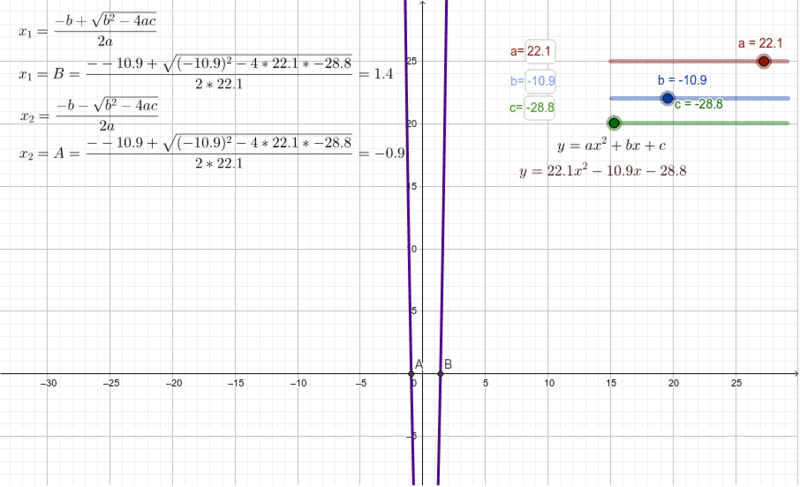 Find the x-intercepts of the quadratic function. 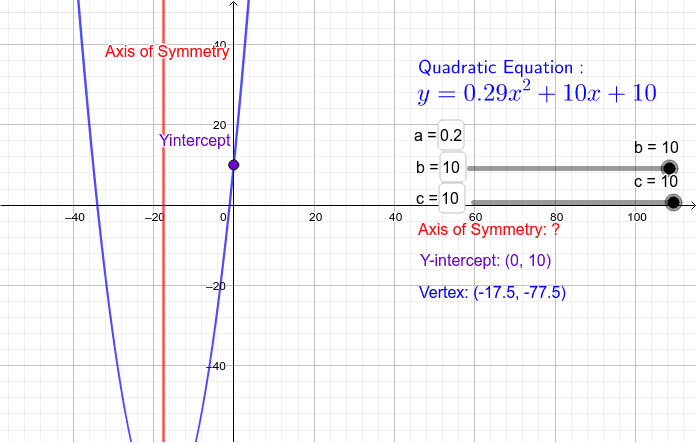 Discover where the y-intercept, vertex and axis of symmetry lie on the graph.